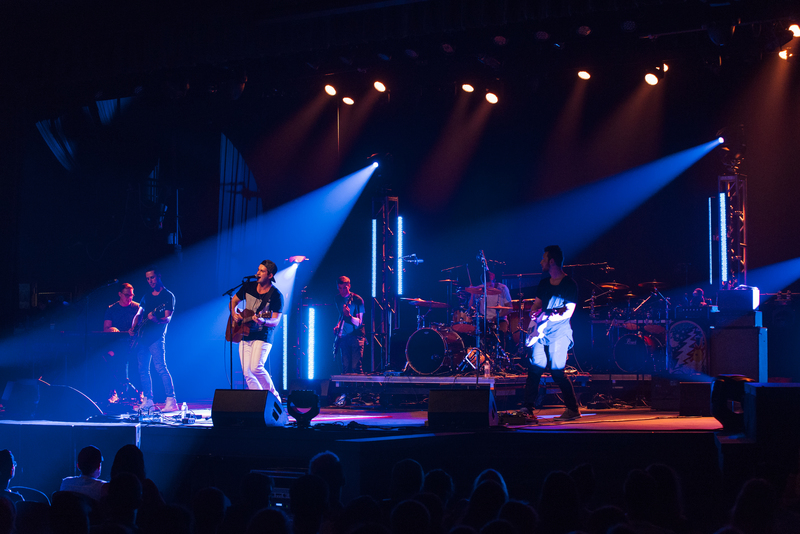 Belmont’s Showcase Series, a concert series produced and managed by students of Belmont’s Mike Curb College of Entertainment and Music Business, kicked off its 2016-17 line-up with the Battle of the Belmont Bands Concert on Saturday, August 27. Created to provide students with real-world training in all aspects of concert production, the series highlights student talent and contributes to the university’s sense of community. Each year, the series features a number of concerts including the Battle of the Bands, Country Showcase, The Pulse of Color (Urban/Pop Showcase), At the Edge (Rock Showcase), Out of the Darkness (Christian Showcase) and the culminating event, Best of the Best. Each showcase highlights students bands, previously selected to participate, who compete to be named the show’s winner. The Best of the Best includes performances from each of the showcase’s top performer. This year’s Battle of the Belmont Bands featured Laurel & the Love-In, The Civics, Wilder, Talia Stewart, Sawyer and Lost Stars with alumni band Koa/Waker. Originally scheduled to take place on the Lawn, the concert was moved to the university’s Massey Performing Arts Center the day of due to inclement weather where more than 750 students, faculty and staff were in attendance.